I recently chatted with a friend about Morro Bay. He and his wife were there for a week last month, and it made me think back to our trip down last Thanksgiving. Jake and I went through Morro Bay on our way to Avila Beach, and it really was beautiful. After parking near Morro Rock, we started walking along the beach. In the midst of the rocks and small waves inching up the sand, we saw a flock of seagulls dancing around. This particular bird didn’t seem to mind my presence, so naturally, I snapped a few shots. 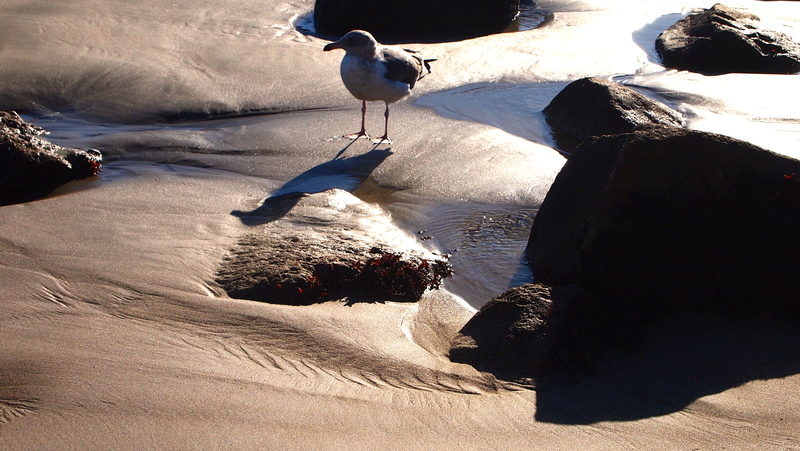 This entry was posted in Photography and tagged Beach, beautiful views, Central California Coast, Morro Bay, Morro Rock, Olympus E-PL1, seagull. Bookmark the permalink.